(3) RSVPs will be required NLT May 8, 2019. 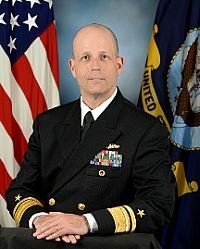 The Guest Speaker for May will be RADM Mark Whitney, USN, Director Fleet Maintenance and held in connection with Mega Rust 2019. Dinner guests are invited to the Mega Rust Exhibitor Demonstration from 5:00 - 6:30 PM and Beer Tasting Reception from 6:00 - 7:00 PM prior to the ASNE Dinner. 18 May 2018 The Mariners' Museum Reception - "Answering America’s Call: Newport News in World War I"